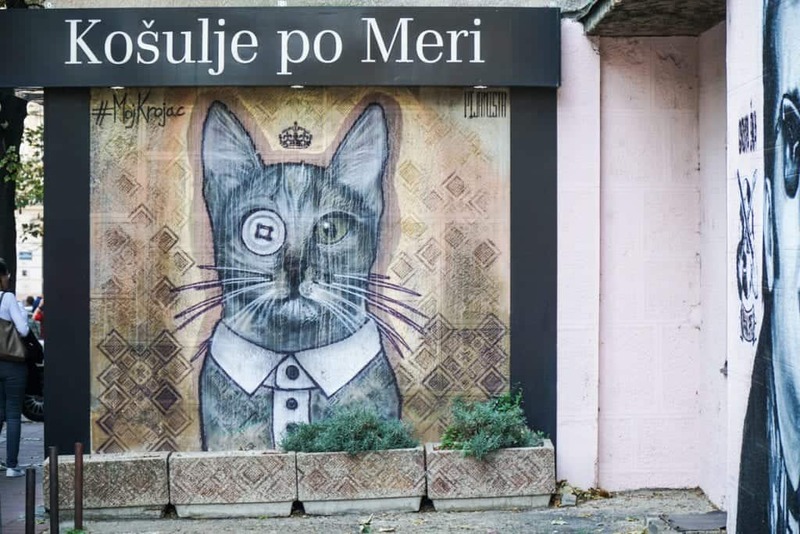 Belgrade’s street art is everywhere. 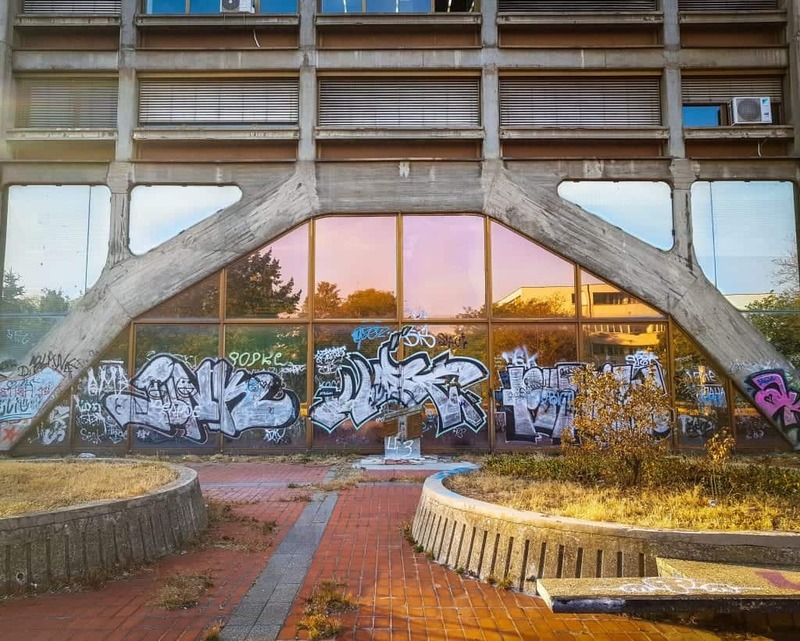 You’ll find it everywhere from the sides of new commercial buildings to Communist-era modernist buildings to architecture dating back to the Kingdom of Yugoslavia. 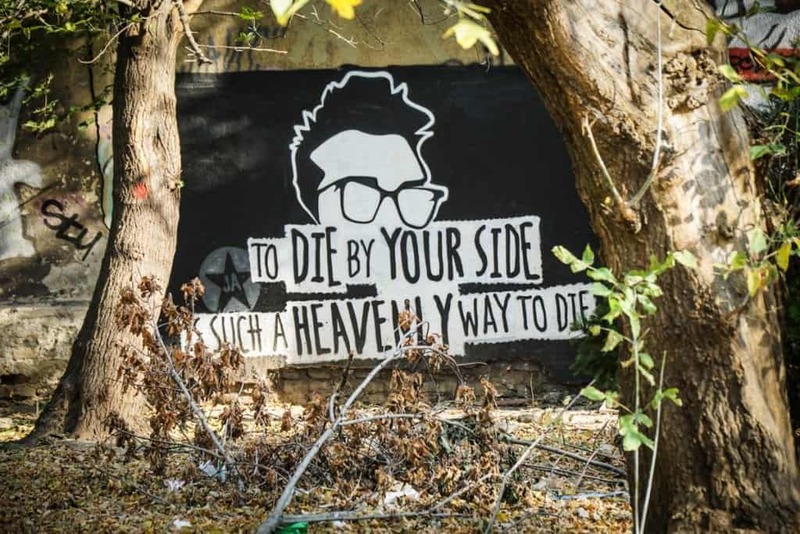 Some artwork is political, some commemorate people who have passed, and some is meant to beautify the city. 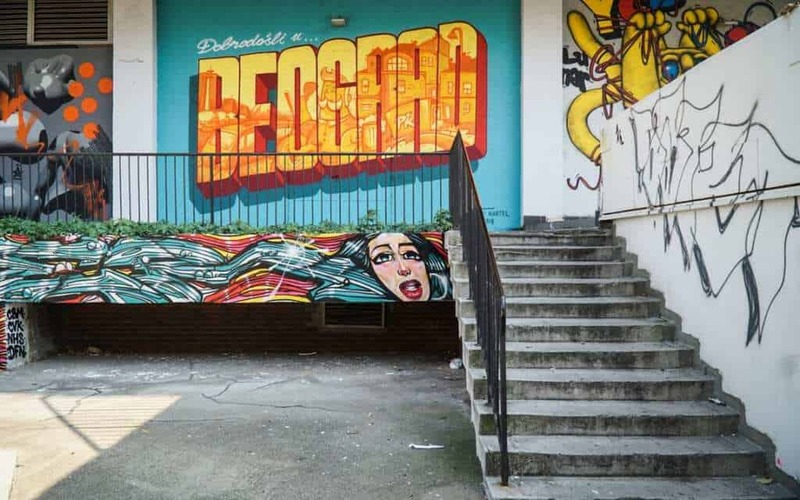 All of the various styles, mediums, and intentions blend together, helping give Belgrade the cosmopolitan, vibrant feel that reigns over the city. 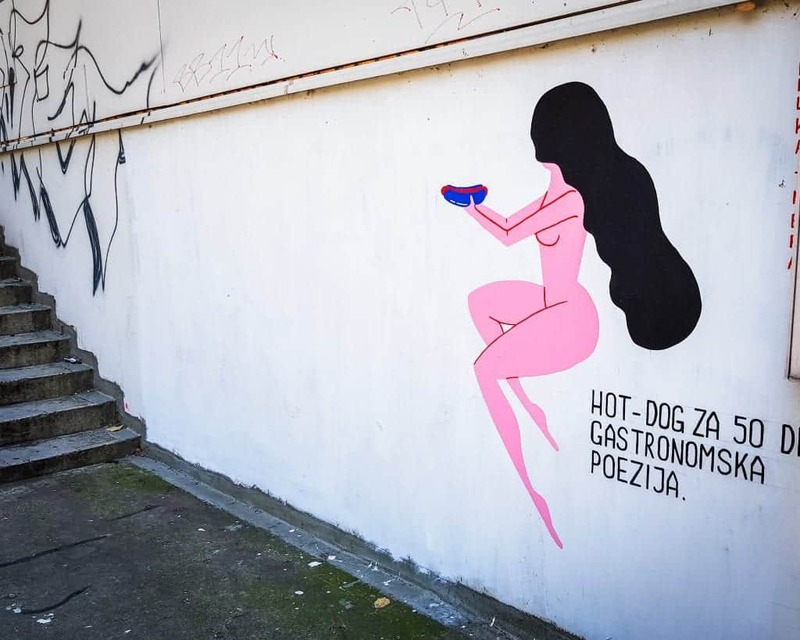 After returning to the city, these are our favorite pieces of Belgrade street art we spotted during the last few weeks. 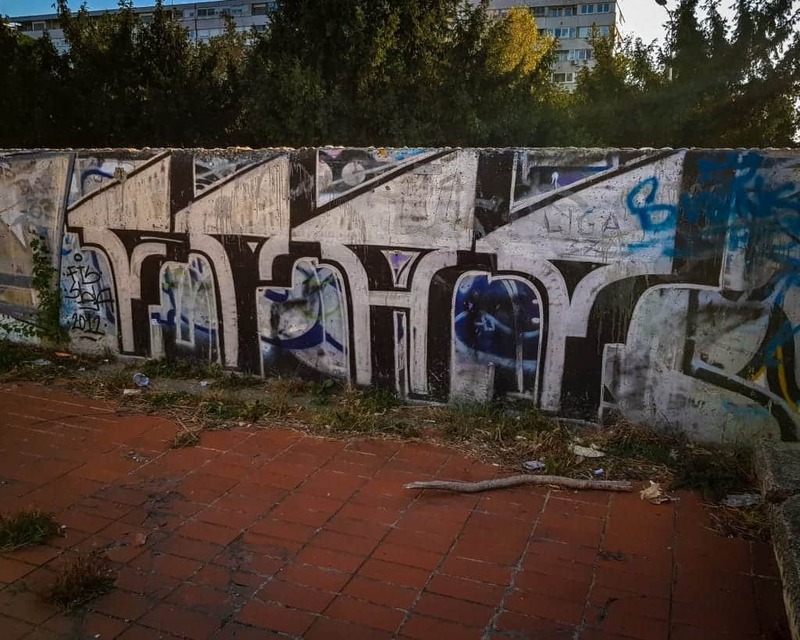 The street art collective GTR stands for ‘the Grobarski (gravediggers) Trash Romanticism.” While it’s not an elegant name when translated into English, you can just remember GTR for short. The group sometimes works with Grupa JNA, and sometimes produces works on their own. 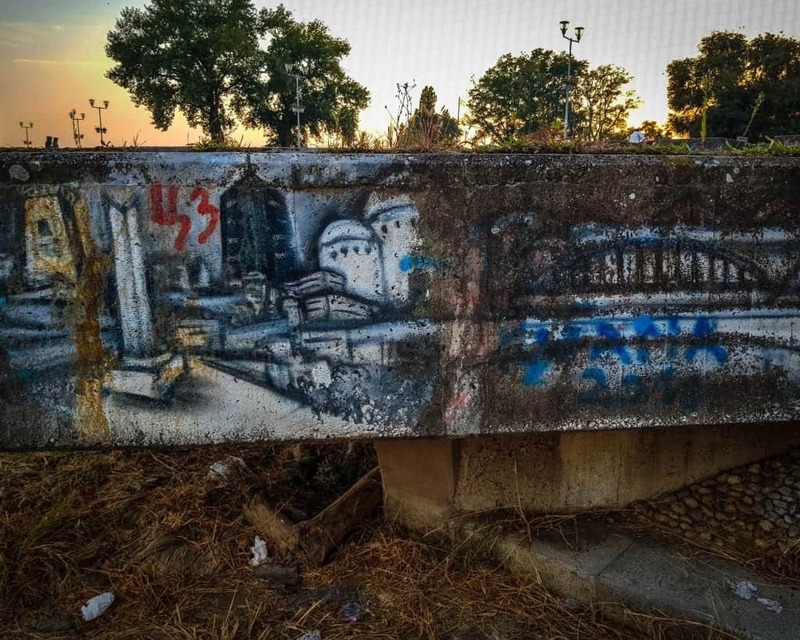 This mural is part of a series on the Belgrade football rivalries, which, to be honest, I barely understand. 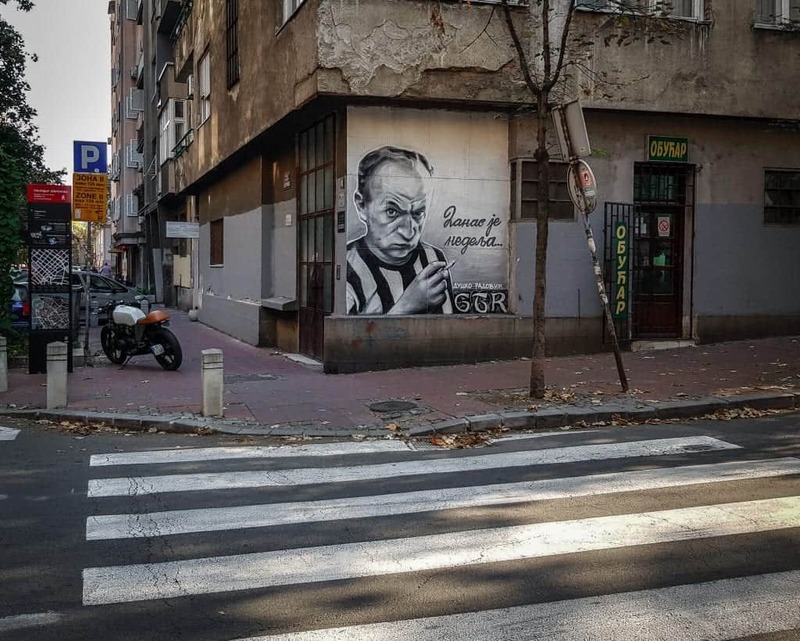 Check out this article on Yahoo Sports to see exactly who supports whom and why when it comes to the intersection of Belgrade street art and football. 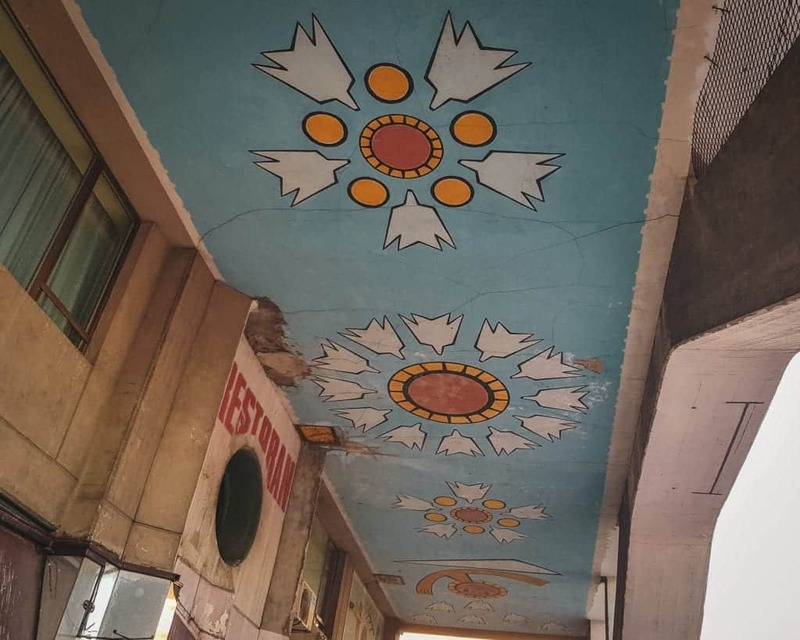 The GTR frescoes have become part of a Belgrade tradition. 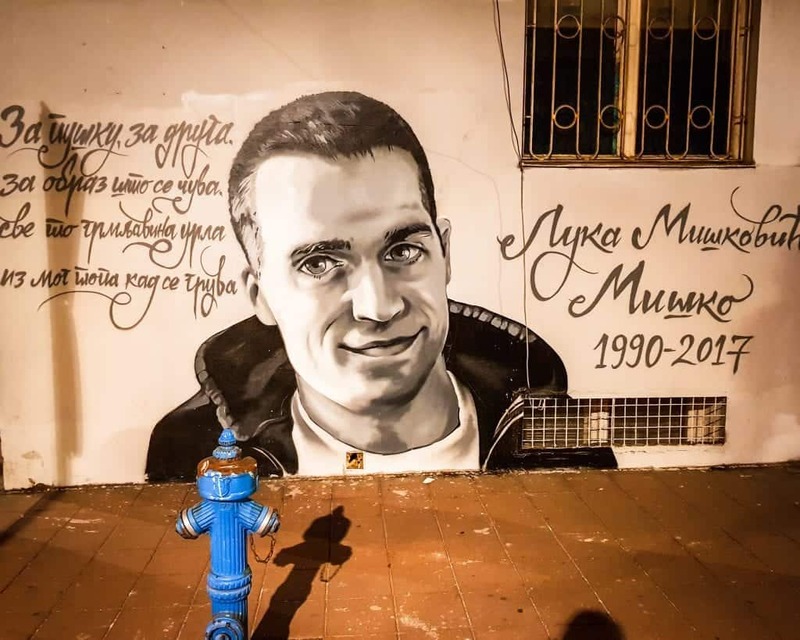 The city is sprinkled with portraits of young men, often hooligans or members of criminal milieu some of them commissioned by relatives in honour of those deceased. Most of the time the GTR artist works with onlookers and sometimes even in front of the police. One day, “a police car passed by, slowed down. They said ‘Good job’. And left,” Lovric says. The Western City Gate was built in the 1970’s as a marvel of modernist architecture. Today it is far from the ideals of architecture in the 2010’s, but it stands proudly above the city regardless. 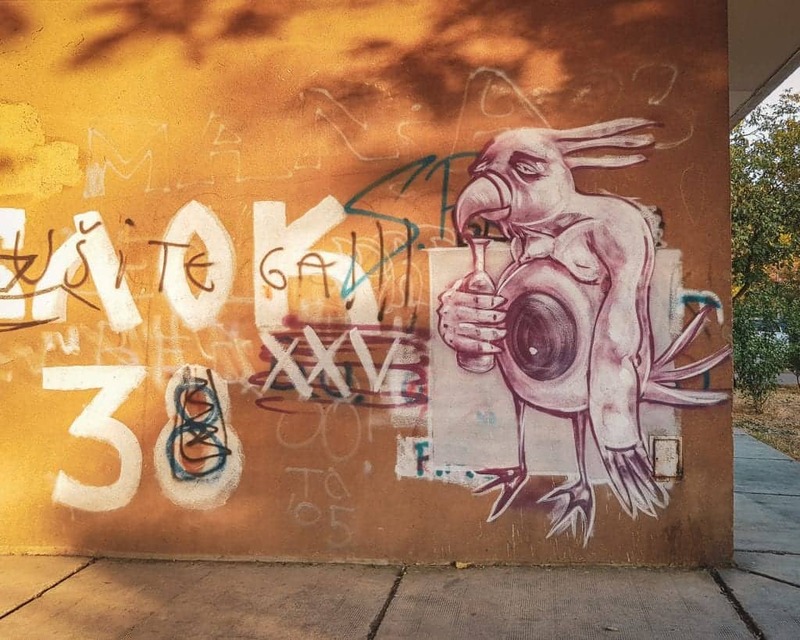 It has attracted street artists who come out to tag the landmark, as well as having some handpainted murals. 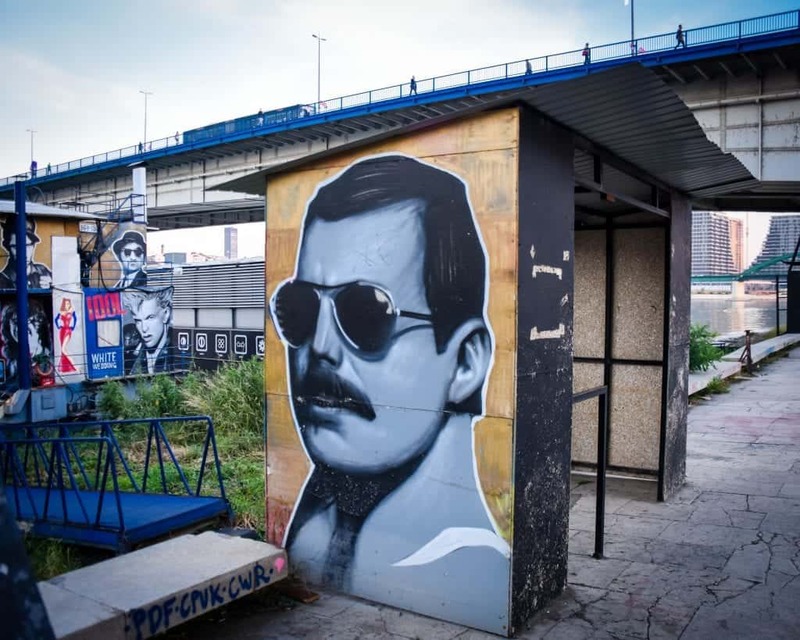 There’s a ton of excellent street art in Novi Beograd. 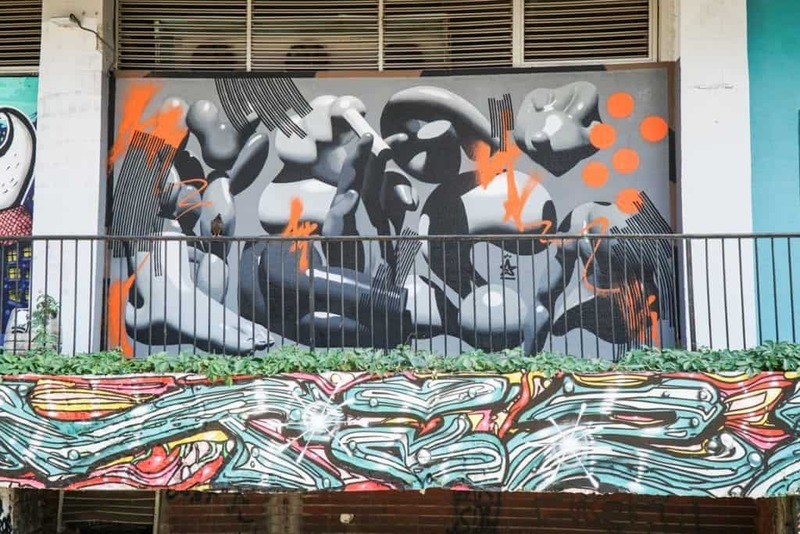 The concrete high rises and industrial feel of the area lend themselves well to the art form in addition to providing a number of excellent and interesting surfaces. 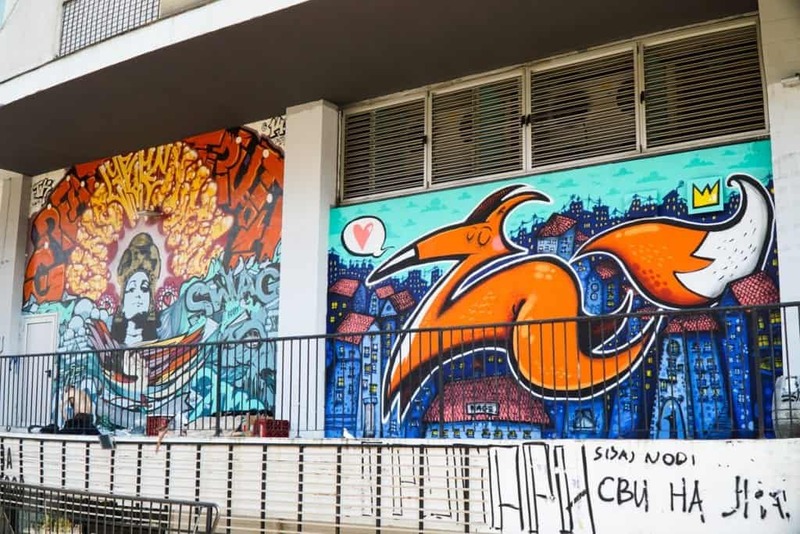 Next to Distribucija, Višnjićeva 10, is a cool mural complex. 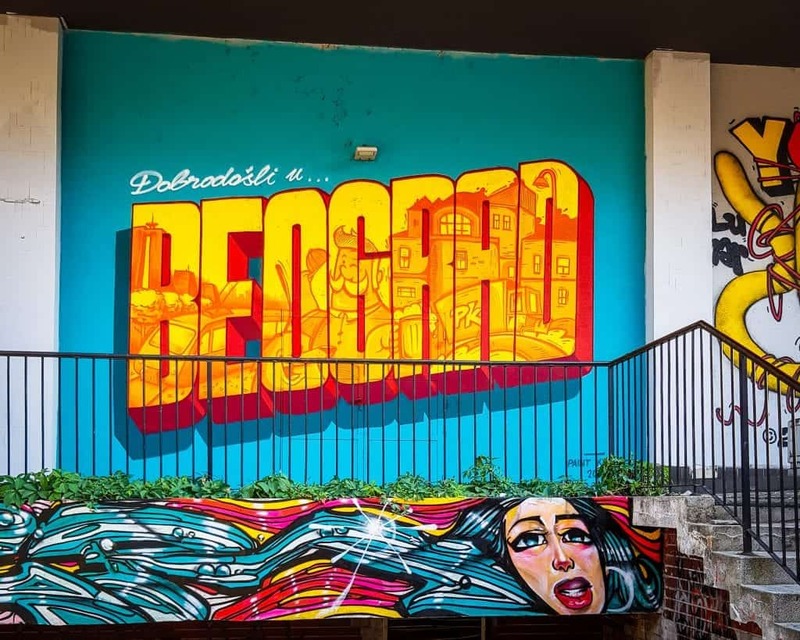 While there are multiple pieces of street art here, we think that the Welcome to Belgrade sign (translated from the Serbian “Dobrodosli u Beograd”) is the top spot for Instagram in Belgrade. 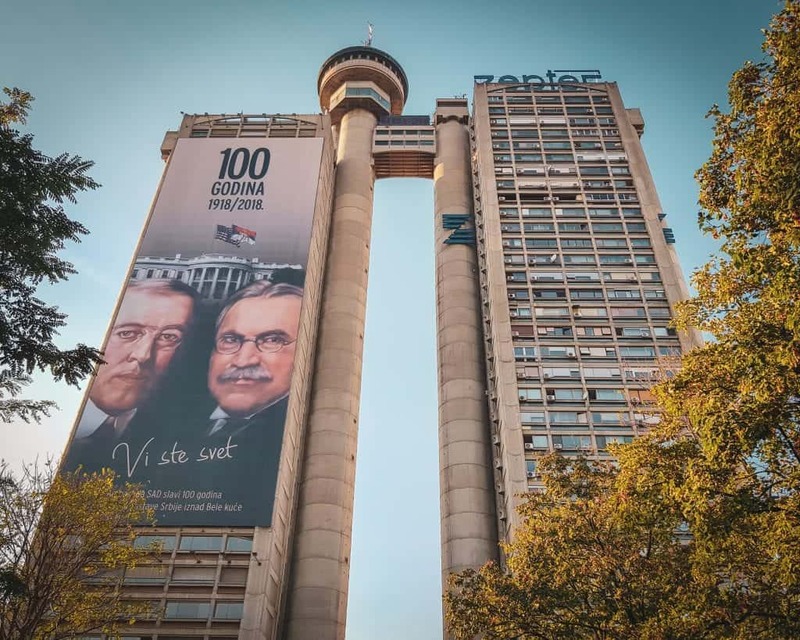 Belgrade has its share of beautiful murals that are as tall as the buildings they’re painted on. 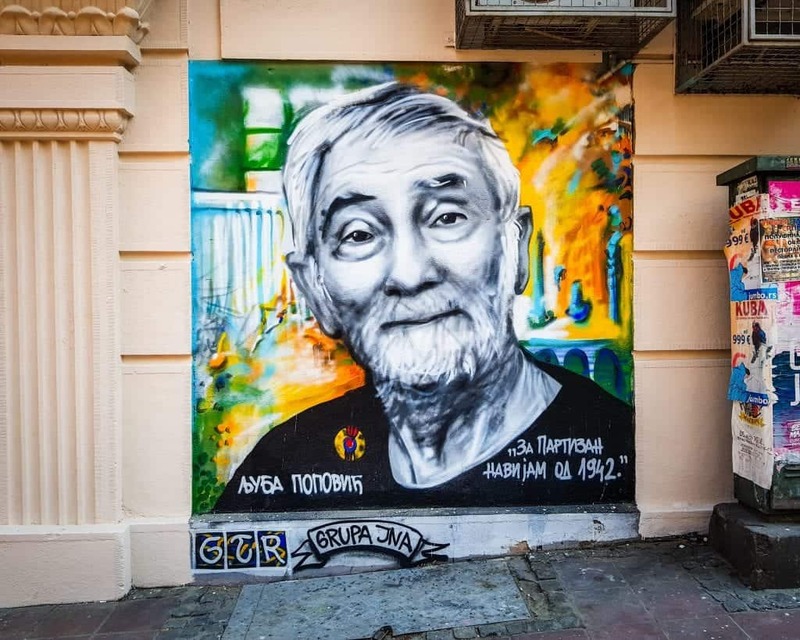 Here’s a great primer on the famous murals in Belgrade, but this one we spotted off Knez Mihaila is one of my favorites. To be honest, this one is confusing to me. I don’t know if the clothing store Moj Krojac commissioned it or if it’s an act of subterfuge. Either way, it looks super cool. 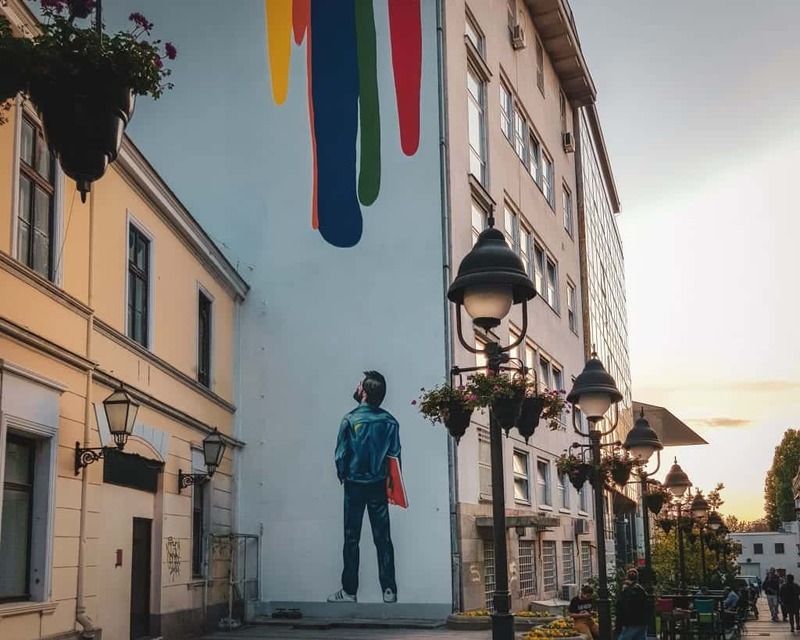 If you’re looking to learn more about Belgrade street art, a great way to do so is to join a street art tour or another alternative tour. Finally, make sure you always travel to Serbia with a valid travel insurance policy. The country is a very safe place to travel, but accidents or theft can easily ruin your trip if you don’t have the travel insurance coverage to recover the losses. Recently my aunt fell on a train in France and needed surgery, but luckily her travel insurance covered the costs in full. Thank goodness! 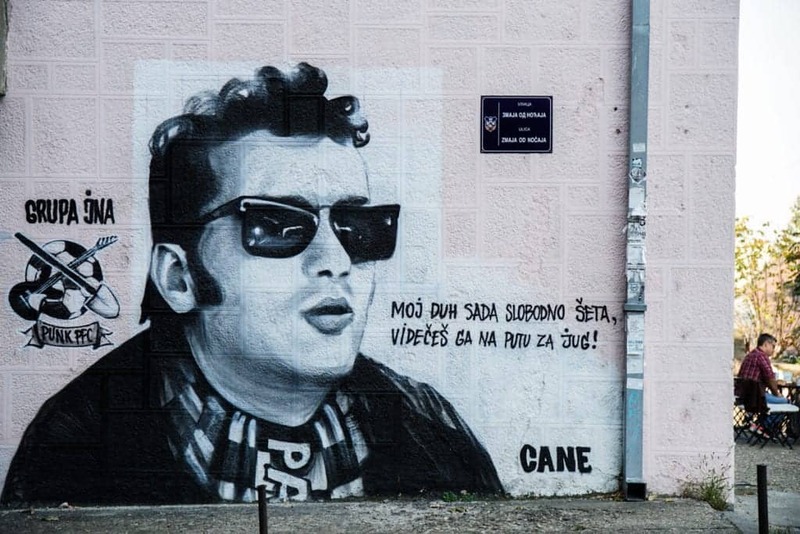 Great article on Belgrade street art. Thank You very much. 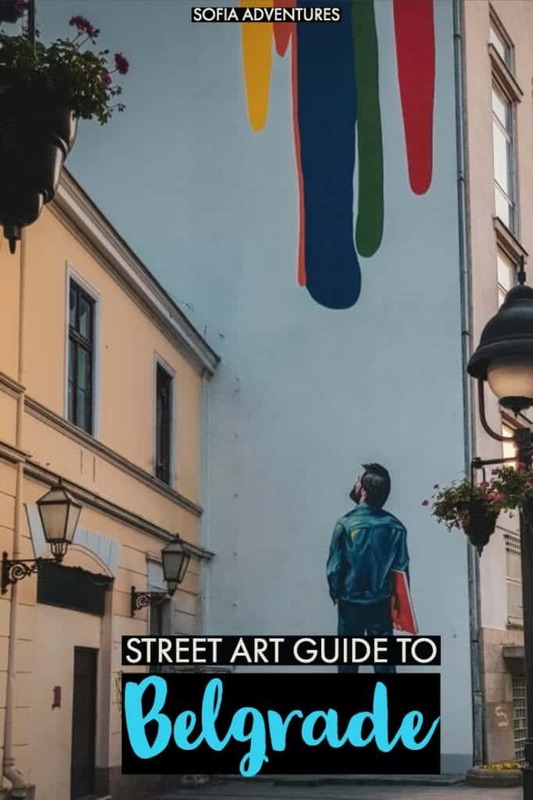 I hope tourists and travelers will use it and explore the street art scene of the city. Thank you! 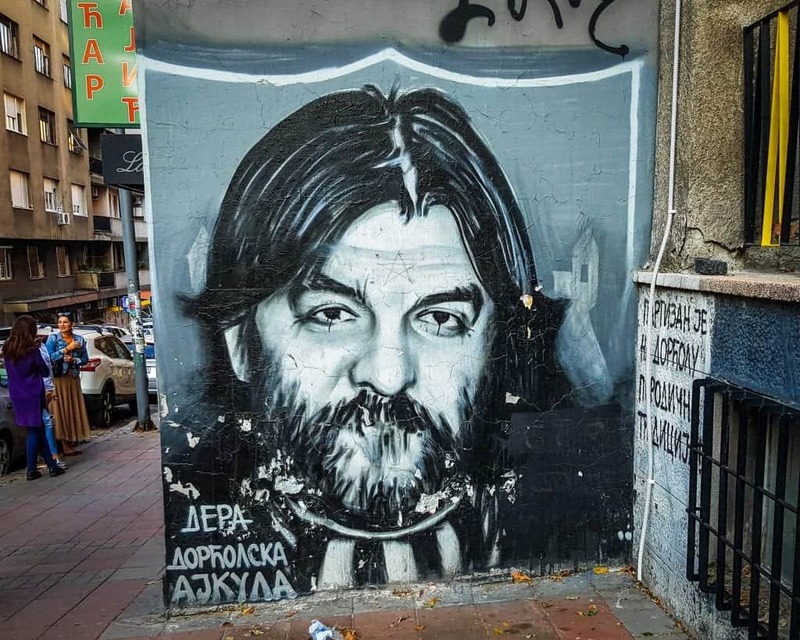 We have a bunch more articles about how awesome Belgrade is in the works! Love your website!